Oculus must pay half a billion dollars to ZeniMax Media over a broken non-disclosure agreement and other infringements, a Texas jury ruled today. That's a hefty fine, but the worst may be yet to come if ZeniMax seeks to temporarily halt Rift sales - and succeeds. ZeniMax, a major game publisher, brought the lawsuit against the Facebook-owned Oculus alleging its trade secrets were stolen and used to develop the well-known Rift VR headset. While the jury did not find Oculus stole ZeniMax's trade secrets, it awarded $500 million (about £385m, AU$660m) because of the violated NDA as well as copyright and trademark infringement, reports Polygon. Oculus Rift inventor Palmer Luckey (who broke the NDA), Oculus co-founder Brendan Iribe and Oculus are all on the hook to pay part of the damages. ZeniMax had sought $6 billion in total. In a statement sent to TechRadar, an Oculus spokesperson reiterated the company's position that Oculus products are built with its own technology, and added an appeal is coming. 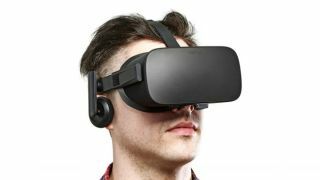 “The heart of this case was about whether Oculus stole ZeniMax's trade secrets, and the jury found decisively in our favor," the spokesperson said. "We're obviously disappointed by a few other aspects of today's verdict, but we are undeterred." Could Oculus Rift sales stop? Oculus may feel somewhat vindicated by today's verdict, but half a billion dollars is still a whopping penalty - Facebook spent over $2 billion to purchase Oculus alone. And Oculus may be far from out of the woods: ZeniMax also tells Polygon that it may seek a court order that temporarily blocks Oculus and Facebook from selling the Rift, a device ZeniMax says is running on misappropriated code. We asked Oculus and Facebook about any potential disruption to Rift sales, and were told by an Oculus representative the company has nothing to add beyond its statement at this time. We also contacted ZeniMax to learn more about its litigation plans, and will update this story if we hear back. Though it doesn't appear ZeniMax is pursuing a sales stoppage right this instant, if one comes, it would be a significant blow to Oculus as it tries to keep momentum around its headset going. This is especially important as other headset makers, like HTC Vive and PlayStation VR, gain ground in the market. In addition to Luckey, Facebook CEO Mark Zuckerberg took the stand to defend Oculus during the trial. Zuckerberg's testimony included suggesting ZeniMax was seeking a payout after Facebook had just spent a couple billion dollars to buy Oculus, and a quip the lawsuit was the first time he'd ever heard of ZeniMax. There's little doubt Zuckerberg knows about ZeniMax now, and may be dealing with the firm for a long time to come. HTC Vive vs Oculus Rift: Which headset is better?